Wow! Life has been speeding past and I can't believe it's been so long since I've posted. 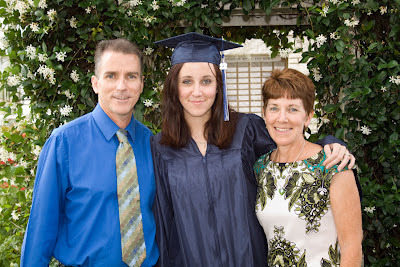 But I think I have some good excuses and pictures to share:) My youngest daughter Lexy graduated from high school 2 weeks ago and we have had several celebrations for that! I also have been busy making graduation cards and Thank you cards. Then for her graduation present she wanted the two of us to go skydiving!! Can you believe it!! Lexy and I have always been the ones to sit back and just watch as Jim and Mandy (husband and daughter #1) did the adventurous stuff.....I wasn't sure about this adventure at first but the more I thought about it the more I thought I had to do it with her.....and I'm so glad that I did!! It was the most exciting thing I have every done and would do it again in a heartbeat!! Then last week Jim and I went camping down in the Florida Keys and Mandy and her boyfriend joined us for a night. We were in Bahia Honda State Park right on the Atlantic....just beautiful!! Have I stamped?? Yes!! I shared the graduation card I made earlier, so now I will show you the Thank You card that goes with it:) You can find the details of the card here. Thanks for staying with me as I shared all that is going on in life lately! Congratulations to Lexy, Jill. You all look great. We have two more weeks to go! Just got through Prom. How awesome are those photos of you sky diving!! I went snorkelling with the kids down at Key West - that was terrifying enough for me! Looked for you on the drive back! Congratulations to your daughter!! I can't believe you went sky diving!! I don't think I would have the nerve. Boy you sure have been having fun - a little crazy, but fun LOL! Good for you!! 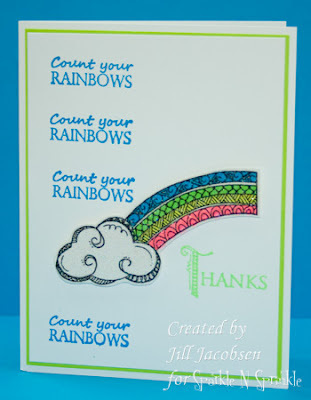 Your thank you card is so sweet - bright and colorful - looks great!